The Contemporary Beauty Collection is well known for quality, style and value; this contemporary mini pendant is no exception. Expertly pairing a charming polished chrome finish and easy to find incandescent bulbs, this fixture is both functional and picturesque. This well-rounded mini pendant is sure to satisfy your indoor lighting needs. 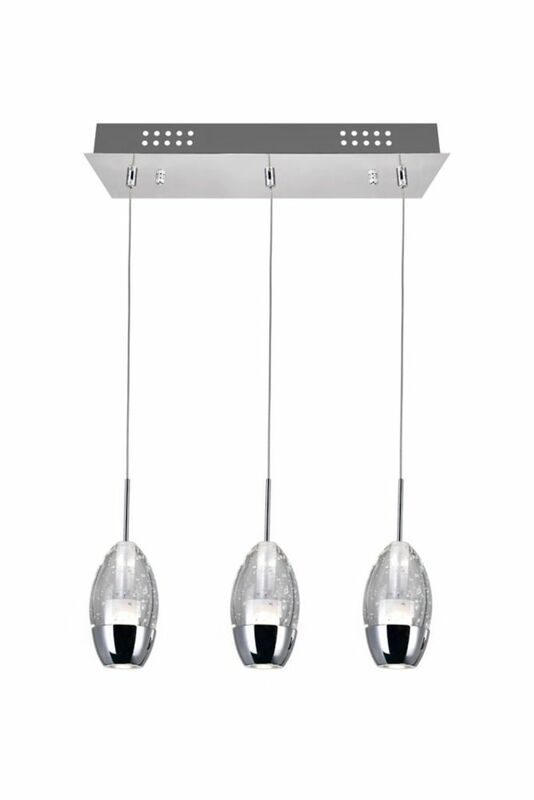 This breathtaking 4 Light Mini Pendant with Chrome Finish is a beautiful piece from our Princeton Collection. With its sophisticated beauty and stunning details, it is sure to add the perfect touch to your dicor. This breathtaking 1 Light Mini Pendant with Chrome Finish is a beautiful piece from our Radiant Collection. With its sophisticated beauty and stunning details, it is sure to add the perfect touch to your dicor. 3 Light Pendant With Chrome Rectangle Base is rated 3.7 out of 5 by 3. Rated 1 out of 5 by HomeDepotCustomer from The lights where not assembled correctly. Glass was off center... The lights where not assembled correctly. Glass was off center with the crome. Had to purchase different lights. Rated 5 out of 5 by Lynn P from Good buy. I am very happy with these lights. They are elegant and well made. Could you recommend where these can be installed? I have a hight cealing entrance and launge area and wanted a pair. Can these be used there? This pendant would be perfect in the entrance area. With its sophisticated beauty and stunning details, it is sure to add the perfect touch to your d&eacute;cor.